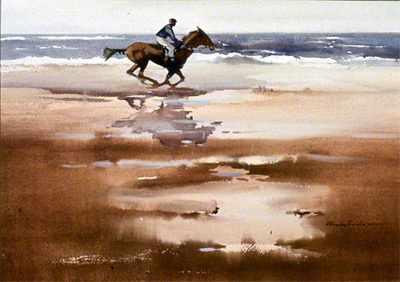 Following on from 'boats on water' the next theme which seemed to attract the artist's attention was horses. 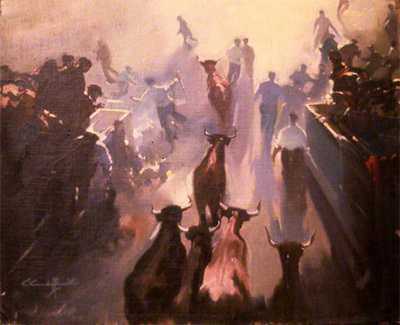 This category also shows four legged donkeys and bulls. 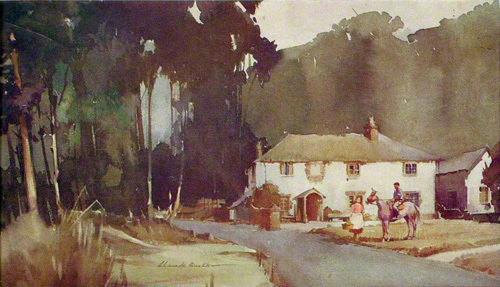 Claude Buckle was fond of animals and kept a dog, numerous cats and a donkey which he painted. 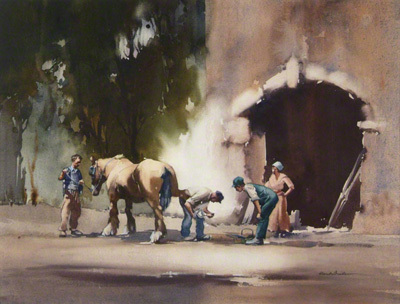 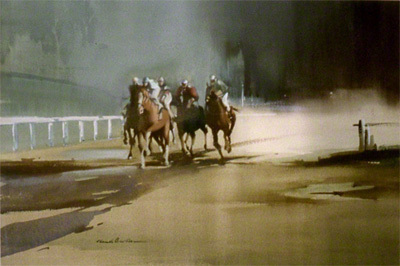 In the pictures of horses Buckle was able to capture the movement of the animals using water colour techniques. 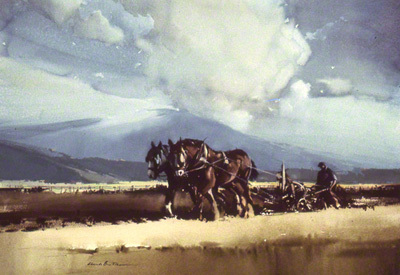 Whether it was horses working as in 'The Ploughman' or when galloping as in 'Into the Straight' the motion of the horse was captured as the main focus of the picture. 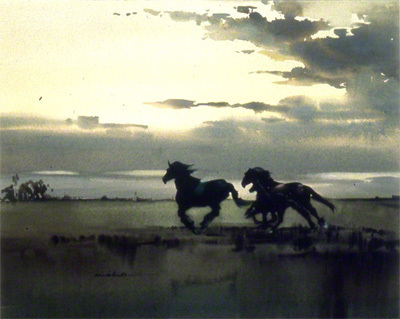 In many of the paintings the animal was just standing still to add to the atmosphere of the picture as in 'Early Rider'. 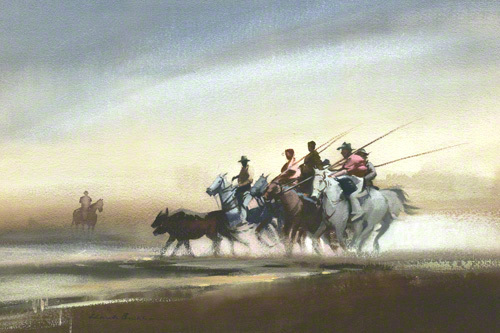 The paintings were nearly always painted straight off and very little planning drawing work went into them once the painting idea had been formulated through the use of sketches. 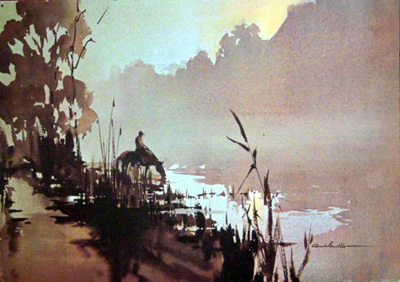 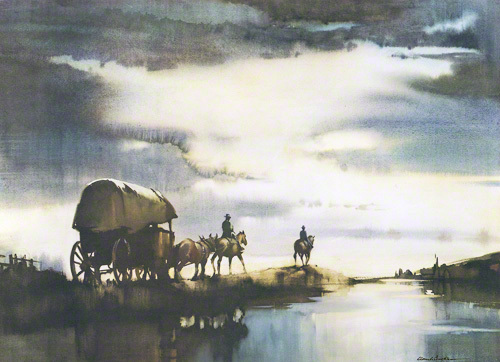 Very characteristic is the use of the wash effect of water colour to suggest backgrounds usually consisting of a broad expanse of sky or water and misty scenes seem to have a favourite theme in many of the paintings.